. :: AMERICAN MOTHERLOAD.com :: CHICAGO, IL USA ::. For some blue-collar, head bangin', fist waving, hard rock, look no further than Chicago's American Motherload. Since 1999, these Windy City denizens have been blowing the roof off of America's most acclaimed venues while gaining widespread respect and legions of dedicated fans across the heartland. 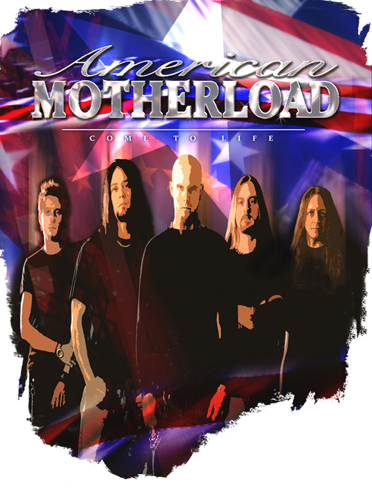 American Motherload bleeds and sweats pure American Hard Rock with powerful anthems like "Suckerpunch," "Holy One," and "Sometimes Blind". American Motherload is the kind of band that makes you want to play your stereo loud enough to warrant police intervention. 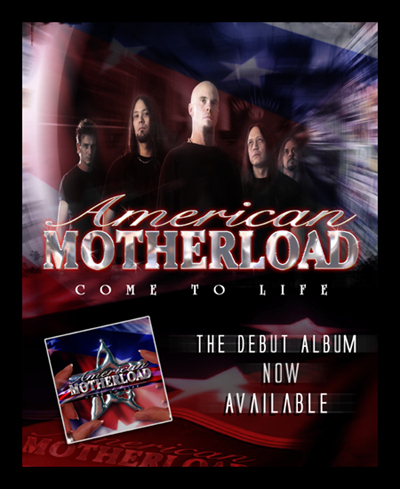 American Motherload has released their debut full-length album, "Come To Life", on the Indianapolis label, Zant Records. The album was mixed and produced by Tadpole at Johnny K's Groovemaster Studios in Chicago (Disturbed/Soil/Machine Head). "Come to Life" is a mighty resurrection of the balls-to-the-wall, arena-sized hard rock once pioneered by such legends as Black Sabbath and Led Zeppelin and later polished by such groups as Alice in Chains, Godsmack, and Nickelback. Making their mark in the 21st century, American Motherload is on a mission to bring the rock to stages from coast to coast.